The Lord knows everyone has need of "daily bread" (Matthew 6:11). NBC has established two ministries to fulfill this need. 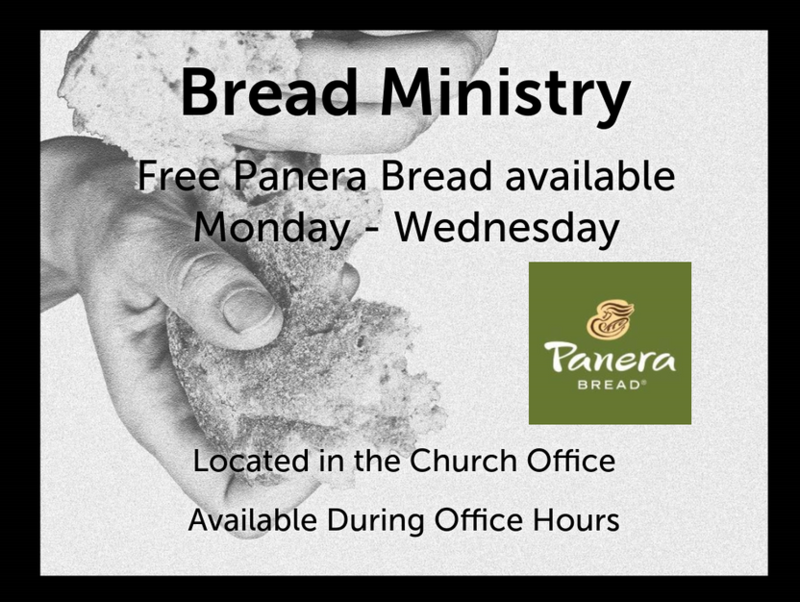 We are very grateful to have the following provisions, "Free Bread Ministry" and "Food Pantry," available to our community. If any questions, contact the office at the number listed at bottom of this page. Each week, bread, bagels, etc. are available in the Church Office: Monday 8am-2pm and Tuesday - Wednesday 9am-3pm. This ministry is available weekly as available. Please bring your ID with you. This ministry is available to recipients once every three months. At this location we do not offer any financial assistance for utilities.